We get it. Sometimes you just want a simple frame to protect and/or display a photo or poster. That is why we put together a "Budget Friendly" framing special. We have chosen several of our most popular "basic frames" and keep them on hand for this very purpose. We start out simple: regular glass, no matting. You can also choose to upgrade to Non-Glare Glass or Conservation Grade UV Filtered Glass, and/or add a mat or two. See pricing below for various size categories. 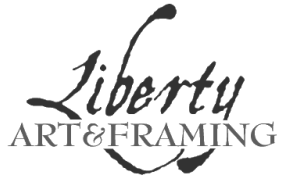 up to 11" x 14"
up to 18" x 24"
up to 20" x 32"
up to 32" x 40"
* When framing valuable or original works of art, use of matting and/or spacer is recommended to keep the glass from making direct contact with the artwork. Base price includes choice of select frames, regular glass, drymount or hinge mount, fitting, and hanging hardware. Available upgrades include Non-Glare or UV filtered glass and the option of a single or double conservation grade mat with one opening (not including specialty mats). Standard turn-around time is approx. 2 weeks. Some frames can be completed within 1 day. Contact us for more information.